Switch 2018 Additional SwitchClient - Buy Now! You'd go batty pretty quickly if you were trying to coordinate this manually. Every one of these operations is just dozens and dozens of redundant key stroke?you'd make an error in no time at all. First the Switch flow goes through a series of PitStop functions, checking for every error that we've ever seen using an action list. What Switch does is what printers need. It's going to be essential to printers over the next five or 10 years, especially as print faces increased competition. This is the future. Automation has removed many manually repetitive tasks from users, freeing them to concentrate on other important matters, and enabling them to meet critical deadlines. Lead times have been improved together with a reduction in errors. 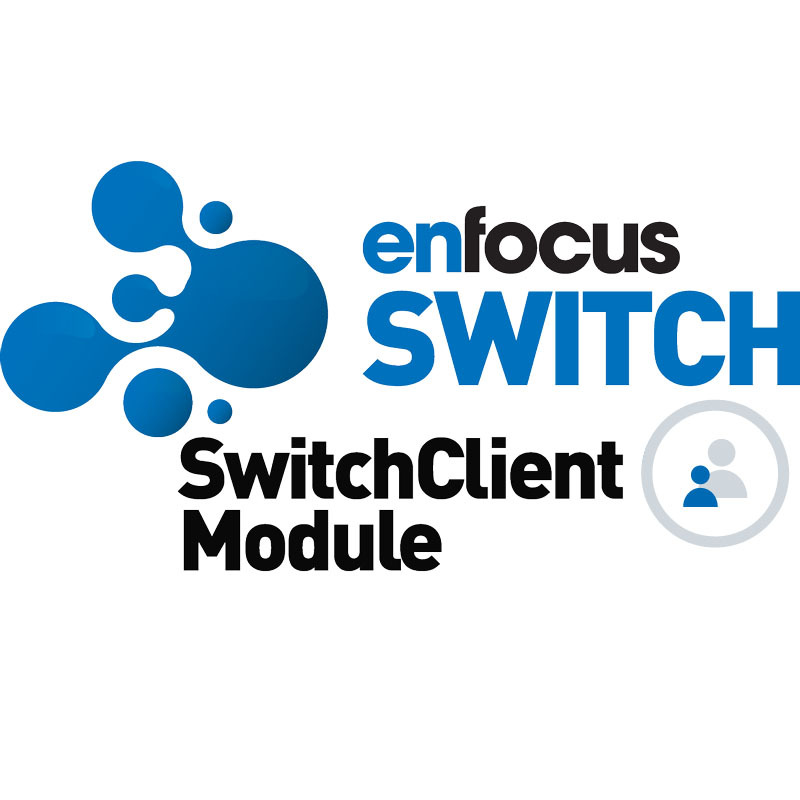 Enfocus Switch was influenced in part by its ability to integrate with third-party applications, giving us the choice of some of the best available technology then and into the future; and also the easy-to-follow graphical user interface. Value was one of the more important factors in our final choice, but quality is always our priority." 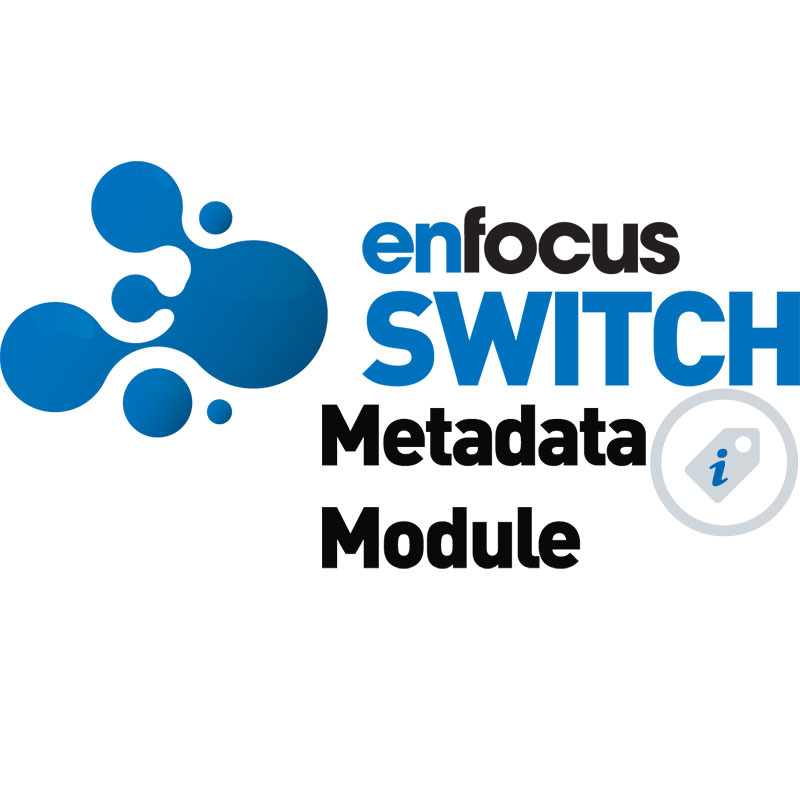 Once we integrated Enfocus Switch in our workflow, a lot changed - and for the better. What is most striking is the time saved. Repetitive processes that previously had to be done manually are now fully automated. And exactly how we need them to happen! Once implemented, we customized Switch according to our specific requirements to such an extent that our production practically runs itself. It doesn't even matter how big or complicated a job is. 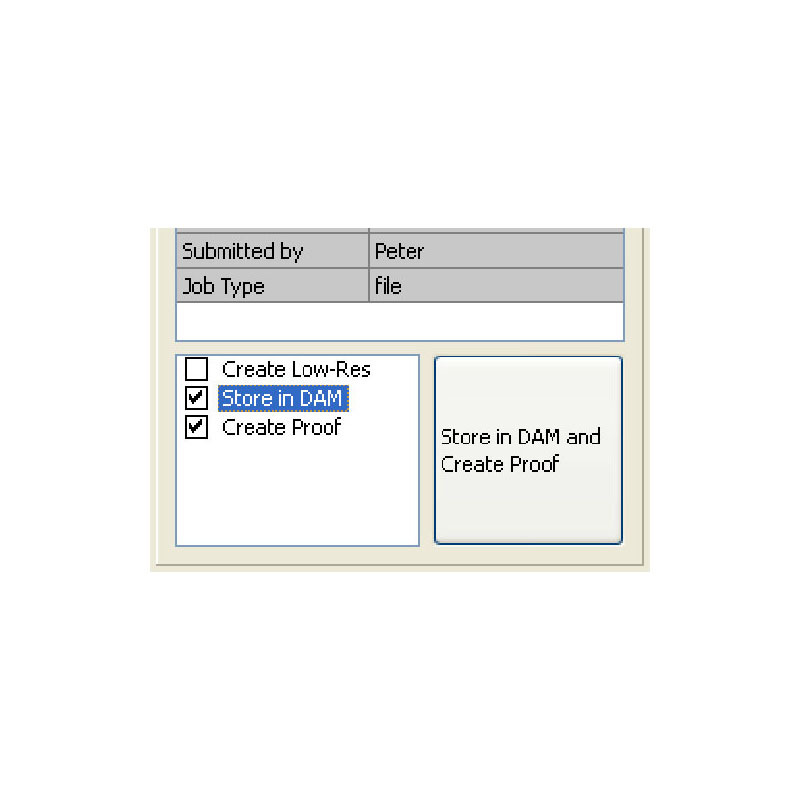 Switch controls the entire job workflow via a database interface. Errors don't stand a chance, as data is monitored from input through to printing, finishing and dispatch and sent down the right path. Switch pulls everything together, although we have multiple publishing and consumption methods, there is now a defined, centralized workflow for managing, processing and distributing files, as well as updating and interacting with several databases. We needed a solution that was as 'open source' as possible to allow full XML automation as well as integration of third party applications and configurators. Switch was the ideal solution to meet those requirements. 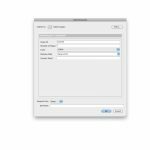 The SwitchClient Module is a separate desktop application allowing users to access the Switch Server remotely. 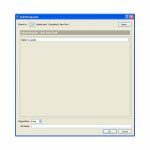 SwitchClient gives users a powerful tool for submitting and reviewing jobs being processed by the Switch Server. Not only can you launch and review jobs in Switch, you can add job information to the metadata stream that can be used anywhere in the flow. It is not always possible to retrieve jobs and their metadata in an automatic way to enable an unattended and uninterrupted flow. Frequently it is necessary for an operator to submit a job into a flow because it is for example delivered on a flash drive, or because the job is not accompanied by the required information to route and process it correctly. Even when the delivery is automated, it may still be necessary to request operator intervention at some point in the flow because an error situation is recognized or because human intervention is desired to sign off or confirm a certain situation. In all these cases, SwitchClient offers a solution. Connect to one or more Switch Servers on the local LAN/BPN. Note that mixed-platform networks (Mac and Windows) are supported. 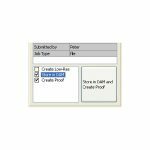 Submit jobs (files or job folders) and metadata (such as customer information, order number, page number, color, quantities to print, etc. ), that can be used in Switch to make routing decisions or to provide variable input to various tools and configurators. Review and process jobs being held in a Checkpoint, for jobs that need specific sign-off or approval. At this point in the workflow, you can add comments or replace the job files, download the Preflight Report (if there is one), etc. View job details and information about the status of the jobs that move through the Switch workflows. View log messages issued by processes on the Switch server. 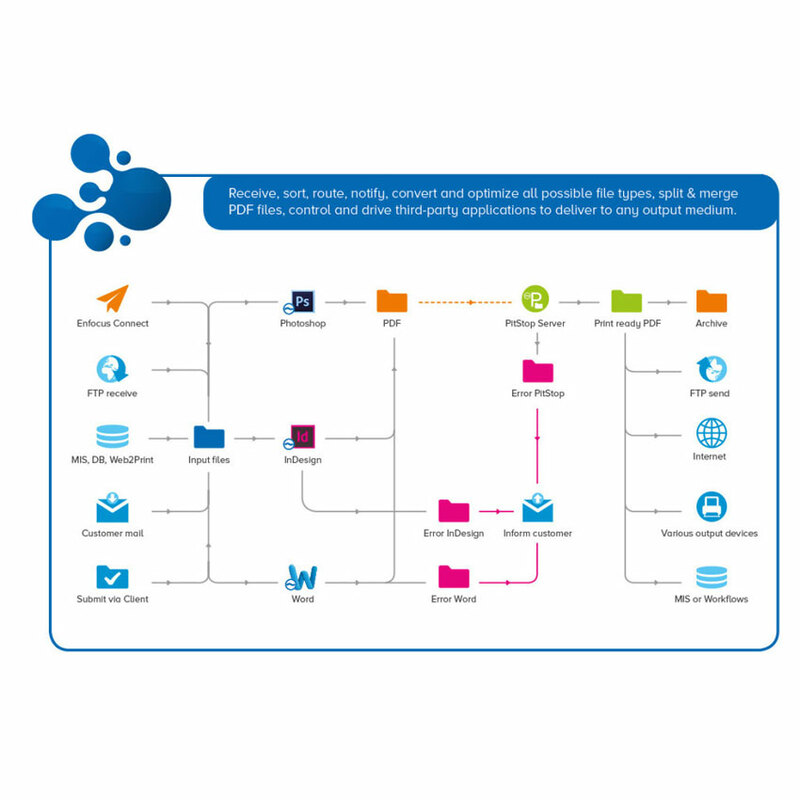 The Enfocus Connect suite of applications creates Connectors applets that can deliver jobs directly into Switch accompanied by a job ticket. 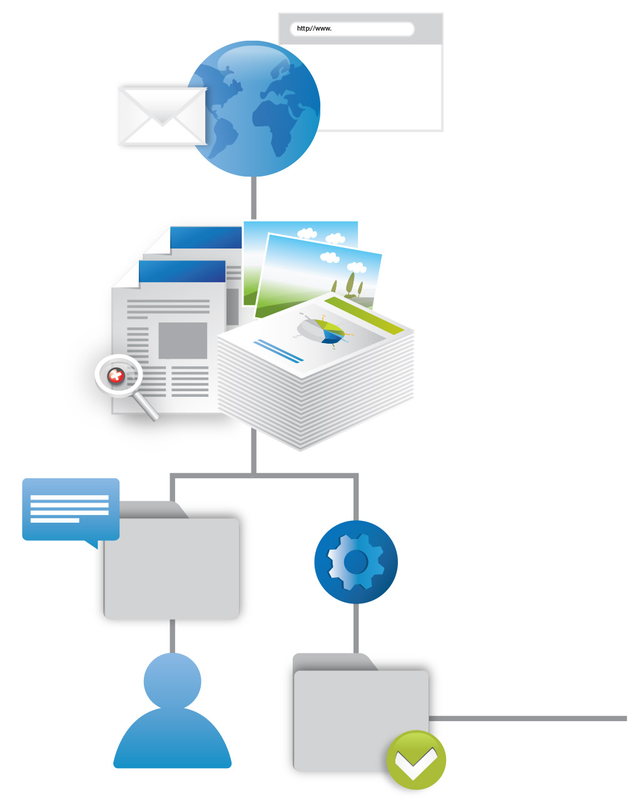 Connectors are distributed to customers who supply jobs in order to manage the creation of print-ready PDFs in a controlled way, to collect metadata, to preflight the file before it is delivered and finally to deliver the file into the correct flow for immediate unattended processing. In this respect a Connector can be considered as a kind of light SwitchClient that is used by customers who are sending jobs into Switch. The difference is that the Connectors only deliver files and metadata. They cannot be used for Checkpoints as is the case with SwitchClient. Using optional modules, Switch enables automation and integration of popular third party applications used in the creative, prepress and production industries as well as MIS, DAM, Web-to-Print and database systems. Switch is a robust and reliable solution even in demanding environments and scalability and intelligence can be enhanced with optional scripting, database and metadata modules. This module enables integration, control and automation of many popular third party applications in the creative, prepress and production sectors. The Configurator Module automates Adobe Acrobat Distiller, Adobe Creative Suite, Enfocus PitStop Server, and many other popular applications and allows you to easily build solutions for preflight, imposition, color management and many more. 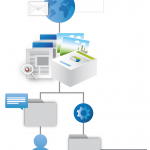 Setup and automation of the applications is fully controlled from within Switch and the visual flow editor makes it as easy to work with configurators as it is to work with the built-in tools. Use the applications you are already using today or feel free to choose the tools that suit your needs best. This module also includes the necessary tools to integrate with any hot folder based application or to dynamically use any third party command line tools. The Configurator Module also allows various properties values to be created using simple script expressions, adding a higher level of intelligence to file receiving, routing and processing options. The Database module for Switch automates the communication between a database application and Switch. The Database Module makes it possible for Switch to instantly access existing ODBC data sources to expedite automated processing and prevent labor-intensive re-keying of job information into multiple systems. The Database Module connects using system DSN resources and honors all database rights and privileges. The Database Module adds a new Database connect element to the Switch toolset. This element can be used to dynamically read, write, create or delete records in the designated data sources anywhere in your workflow. The Module also enables any SQL query result to be used as a variable anywhere within your Switch workflow. You can use live job information to easily build dynamic SQL queries at any stage of your workflow. Query results can be used to make decisions for preflight, processing, delivery or archival based on existing job or customer information. Scripting is no longer required, making it easier and faster for customers and integrators to build communication paths between Switch and an MIS or any ODBC-compliant database. 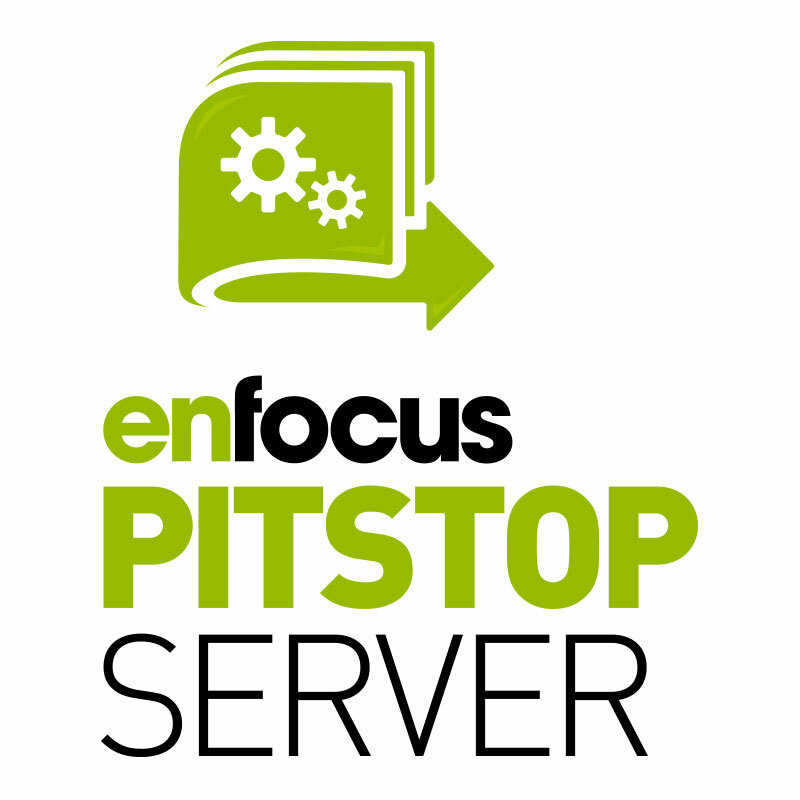 This module also enables the visualization of dynamic content from your database when using SwitchClient and PitStop Connect. Much like the Database Module, this module enhances workflow intelligence by using existing information stored in XML or JDF job tickets or embedded within files as XMP data. Use metadata wherever Switch uses variables to route files or process jobs dynamically. Update or add information in XMP packages. 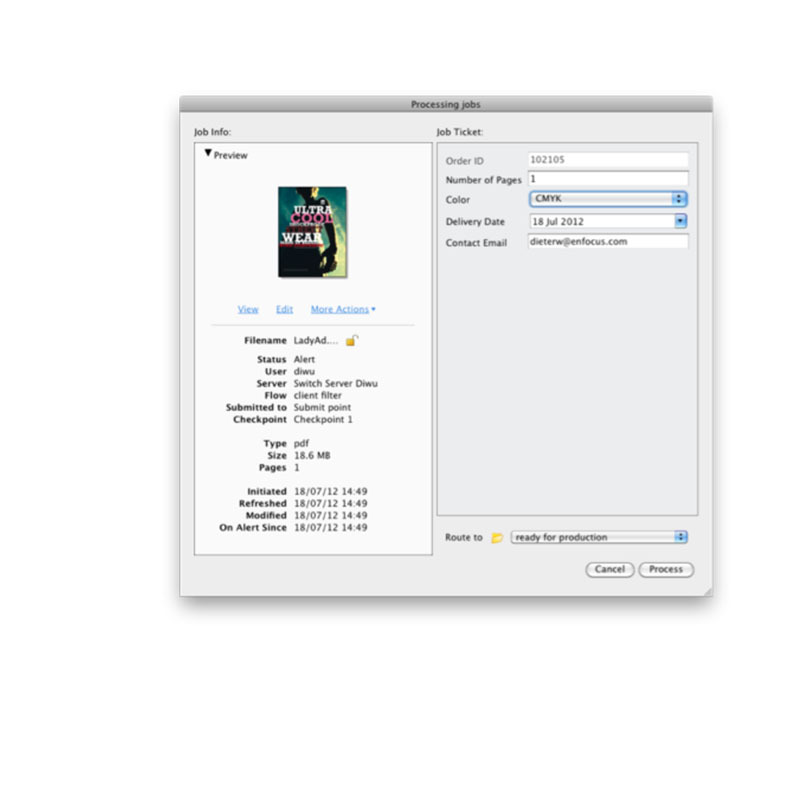 Visualize metadata-based content within SwitchClient and PitStop Connect. 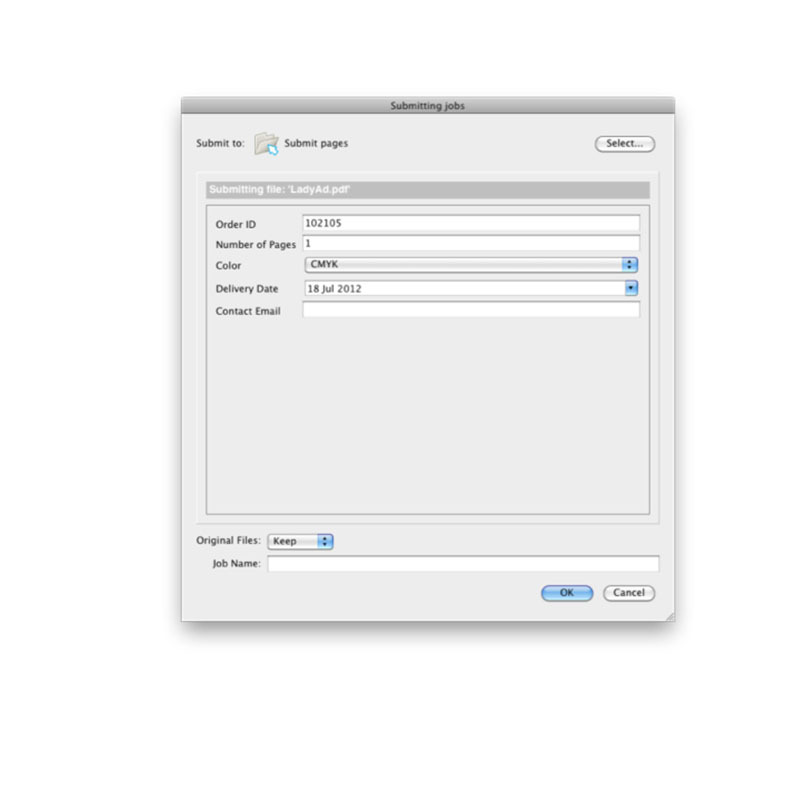 The Metadata Module also includes tools to export metadata and convert XML information, preflight logs and reports into other XML formats, HTML or human-readable information. By repurposing embedded or job ticket information, Switch enables you to more effectively utilize previous investments and personalize your service to customers. To boost performance of the Switch Core Engine and get the ultimate processing power out of advanced hardware configurations that include multiple processors and high levels of RAM, you can extend the number of processes that Switch executes simultaneously. This module enables third party applications such as web portals to integrate and drive Switch. You can improve your customer service experience by allowing your customers to securely submit files from the familiar environment of your company website. The Web Services Module enables your customers to track and approve jobs within Switch without leaving the comfort zone of your website interface. Join 20,000+ subscribers on the XChange Mailing List? 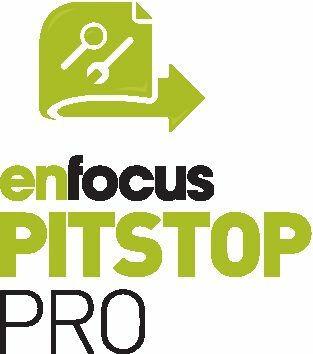 Categories: Enfocus, Print, Prepress & Publishing, Print, Workflow Tools, Workflow, Production & Automation, Automated Output, Email & FTP, File Routing, Preflight & Correction. Tags: Automate, Automation, Enfocus, PDF, Print, Printers, Printing, Productivity, Publishing, Routing, Switch, Workflow.